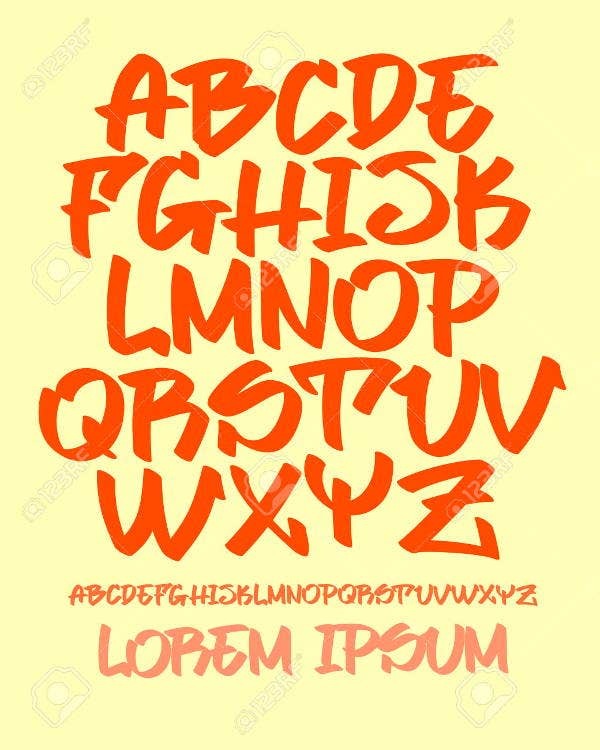 Graffiti are writings or drawing scribbled, scratched, or sprayed on a wall or other surfaces in a public place, which range from simple written words to elaborate wall paintings. Considered as vandalism and punishable by law before, this kind of art has found its way into the mainstream and has become a medium to express ideas and underlying social and political messages. 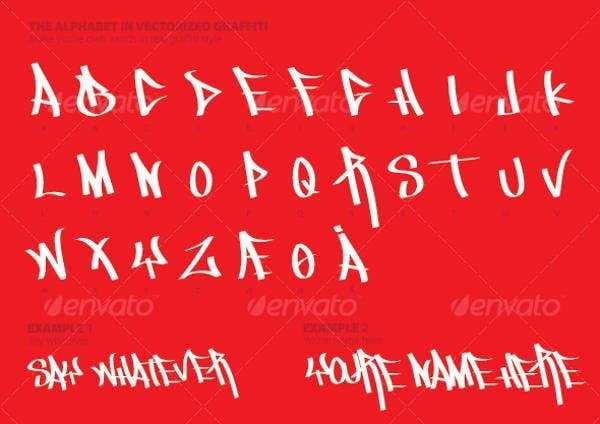 On this page, we have collected downloadable graffiti alphabet letters, together with other Printable Alphabet Letters on this site, to help designers and artists create stunning masterpieces with the graffiti design aesthetics. 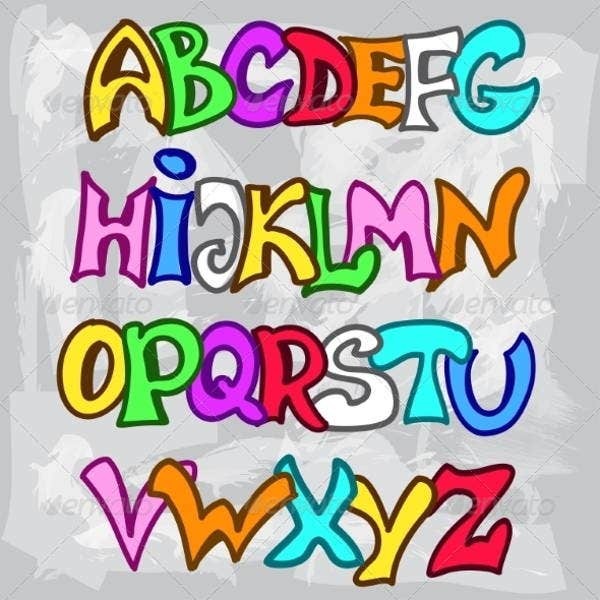 These alphabet letters are great time savers as they allow you to create art without having to draw the design elements yourself. History. 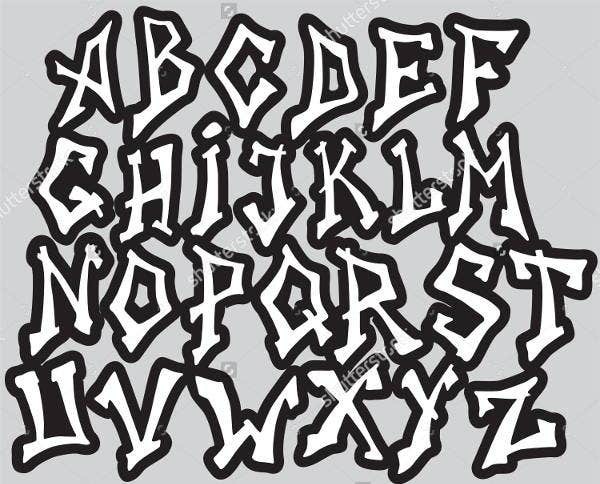 With a long and proud history, the subculture associated with graffiti has existed for decades and still going strong. Seen as common criminals and vandals before, graffiti artists have become passionate, skilled, community-oriented, and socially conscious individuals. Tagging. Urban graffiti which uses spray cans came in the late 1960s from New York City. A certain Taki 183, who worked as a messenger, would use a marker and write his name wherever he went. Kids soon followed tagging their names anywhere to gain fame and notoriety. Evolution. Aside from getting their names around as much as possible, artists or writers started outdoing each other in terms of style. It has since then evolved into a complex art form with its own techniques and vocabulary. Style. 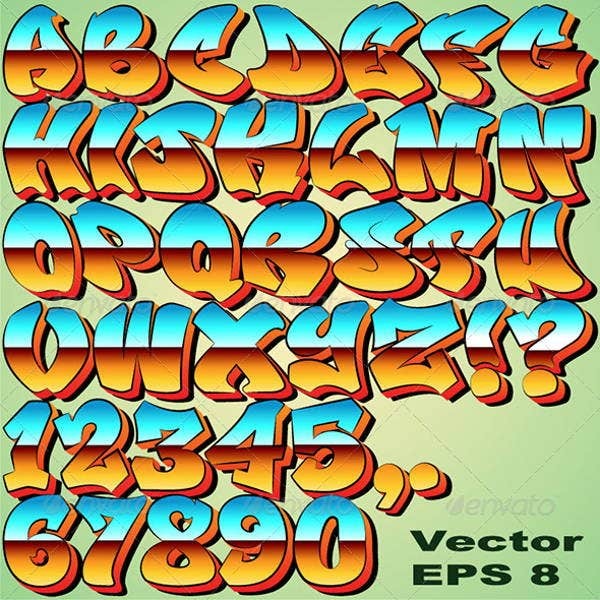 The emergence of an entire subculture surrounding graffiti began in the 1970s when artists began creating bigger and better pieces to outdo each other and become more famous than anyone else. Creativity. Most early graffiti artists came from the ghetto who created something beautiful and required dedication and have succeeded since then in expressing their identity in a society that tried to keep them anonymous. Hip-hop. Graffiti has become a major part of the urban environment, which provided a visual inspiration that has encouraged other forms of creativity and expression. It has become one of the four elements of hip-hop. 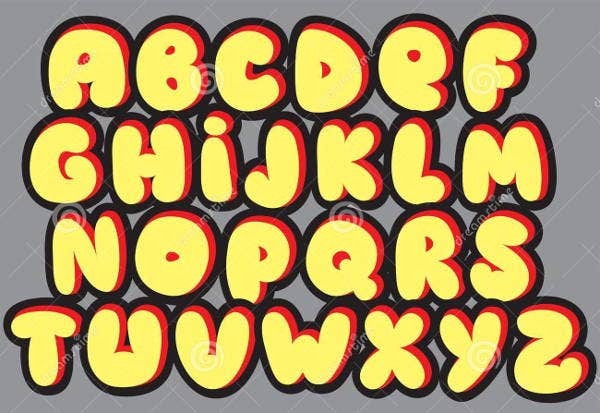 If these are not what you are looking for, feel free to browse our website for other alphabet letters that will suit your needs. It provides an unpolished finish. 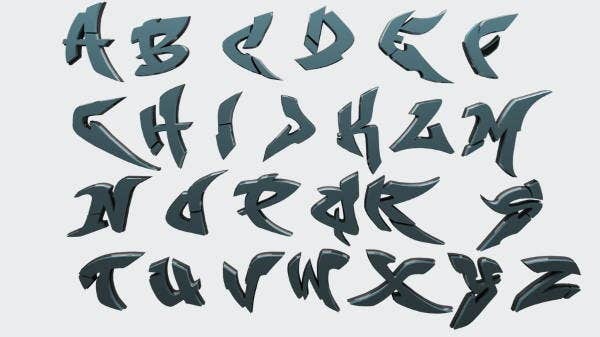 Graffiti letters are perfect to use for designs that require a rough finish. Whether it’s a band gig poster or an organic product advertisement, it is a stark contrast to any polished and often boring designs. It creates an organic and realistic look. Because it looks untidy and done in short period of time, it gives designs a raw texture and realistic effect, which provides more options in designing stuff associated with these objects. It gives you more freedom. 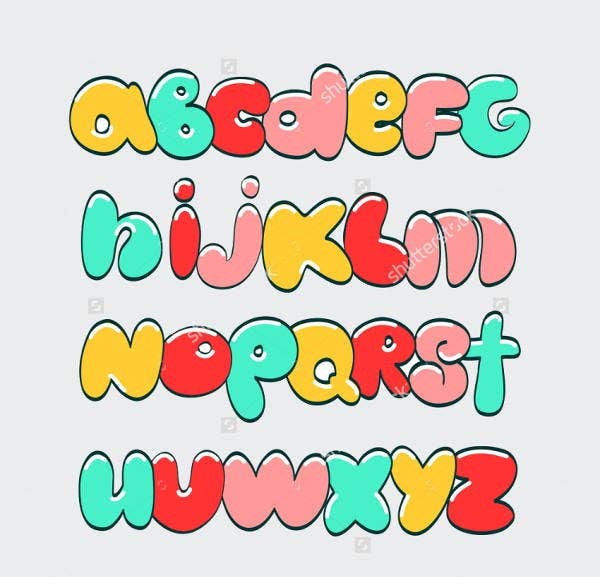 With these letters, you can get both strong and subtle elements in one which eliminates the restrictions you usually have with other designs. It allows you to experiment and be more crafty for some cool and edgy masterpieces. Graffiti can now be seen in all parts of the world. Some of them have even become national treasures as they are used as landmarks and begin attracting tourist for photo opportunities. These once illegal “eyesores” have also gained recognition from the art world as a legitimate form of art. 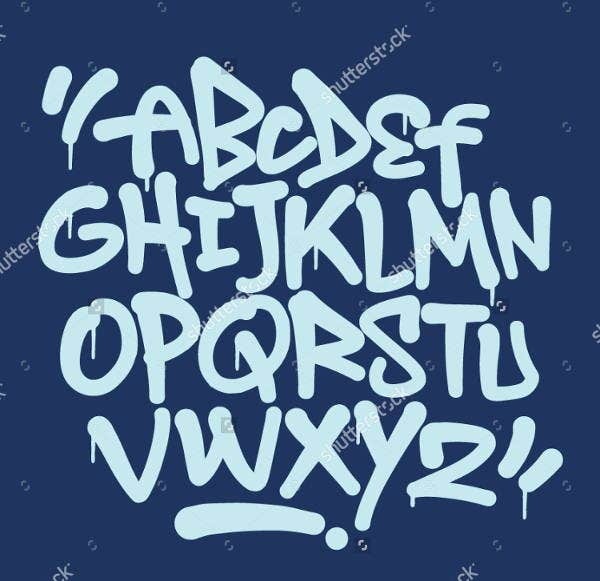 So, download these alphabet letters and jump-start your creative journey with graffiti.